On June 1st, 1991, California Angels pitcher Fernando Valenzuela made a rehab start with the Midland Angels against the Arkansas Travelers at Ray Winder Field. An incredible 12,246 spectators turned out to to see Valenzuela pitch, overfilling the stadium to nearly twice its capacity. In fact, the stadium was so full that fans were allowed to watch the game from the warning track in the outfield. 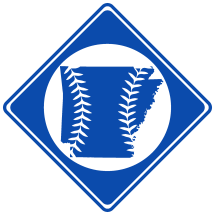 To date, the crowd remains a single game attendance record for both the 100+ years of the Travelers, as well the entire history of baseball in Arkansas. Valenzuela pitched a 7-inning, two-hit, complete game shutout for Midland, beating the Travelers 4-0.